"Revealed for the first time! Discover all the technical and natural wonders of the fantastic Star Wars saga. Here are sleek starfighters that clash with mile-long Star Destroyers, tilling the void with streaks of laser fire and blazing wrecks. Here are armor-clad stormtroopers battling desperate-Rebels across the galaxy. Here are detailed descriptions of the bizarre aliens, devastating weapons, amazing Droids, courageous heroes and cunning villains of the Star Wars universe. Clear explanations and illustrations show how everything works: from lightsabers, the elegant Jedi weapon, to repulsorlifts that defy gravity. Stories, maps, charts and much more highlight this extraordinary guide to Star Wars, the greatest space fantasy of all time! 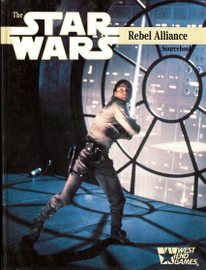 * Over 120 illustrations and photograph from the Star Wars archives — many never published before! 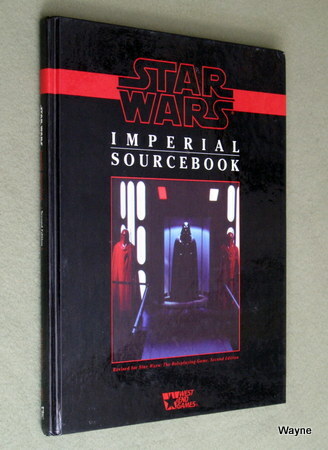 * Maps of a Rebel Outpost and an Imperial Garrison, plus rosters of their equipment and personnel. * Technical manual for the X-wing starfighter. * Dossiers on Darth Vader, Boba Fett, Luke Skywalker. Princess Leia, Han Solo and other major heroes and villains. * Floor plans of the incredible smuggling ship Millennium Falcon. * Blasters and lightsabers — how they work and where to get them. * Performance data for vehicles from speeder bikes, AT-AT walkers, and TIE fighters, to awesome Star Destroyers. 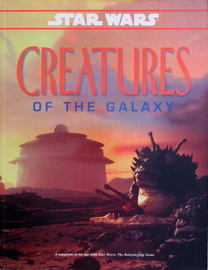 * Detailed descriptions of: Alien beings, including Wookiees, Jawas, and Gamorreans. Droids, including R2-D2 and C-3PO. Stormtrooper weapons, armor, organization and elite units. Creatures, including Mynocks and Jabba's vicious Rancor. Hyperdrives, sensors, deflector shields, and escape pods. * Plus dozens of other entries — nearly 100 in all!" * Illustrations, photographs, maps and diagrams — some never published before!. * A look at the Imperial power structure since the Battle of Yavin, concentrating on the time period between Star Wars and The Empire Strikes Back. * Details on COMPNOR and Imperial Intelligence — the organizations that keep the war machine moving. * Descriptions, illustrations and statistics for new capital ships, custom ordnance, and land vehicles. * Data on support weapons, special Imperial units, and training techniques. * Information for movie fans and game players alike on one of the most evil institutions ever portrayed in heroic fiction. * The massive Order of Battle of a typical sector, detailing the true military might of the Galactic Empire. "A terrible civil war burns throughout the galaxy. A rag-tag group of freedom fighters has risen from beneath the dark shadow of a tyrannical Empire; against ail hope, they have dealt the oppressors a mighty blow. But although the Death Star has been destroyed, Imperial troops have driven the freedom fighters from their hidden base and pursue them across the galaxy, The Emperor has turned his attention toward extinguishing this last spark of resistance, and everywhere the forces of the Empire have redoubled their efforts to seek out and destroy the elusive prey. Throughout the vastness of space, heroic beings engage in a desperate struggle against the overwhelming might of the Empire. They are ill-equipped and pitifully few but their courage and determination has fostered new hope for freedom in the galaxy. These are the men, women, and aliens of the Rebel Alliance. 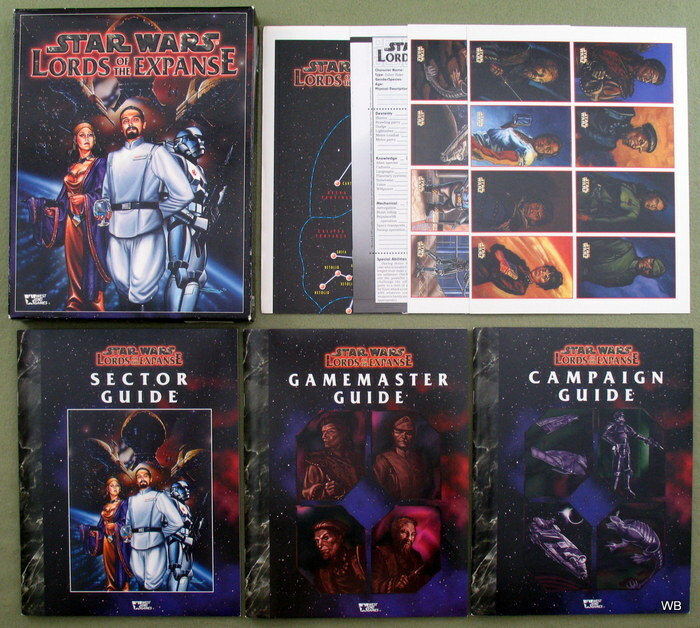 Companion to Star Wars: The Roleplaying Game! 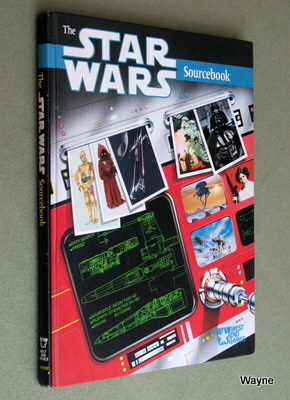 Includes game statistics for the characters, Droids, weapons and equipment of the Rebel Alliance. • In-depth examination of the birth and early growth of the Rebellion. • Illustrations, photographs, maps and diagrams — some never before published! 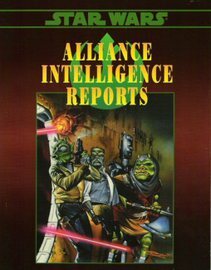 • Detailed report of the Alliance military and political hierarchy since the destruction of the first Death Star. • Data on Alliance Intelligence: operations, equipment and underground cell networks. • Descriptions, diagrams and statistics for Rebel land vehicles, ships and equipment. • Updated information on Rebel bases, plus recruitment and training protocol. galaxy — the Rebel Alliance." "Technology. Learn to use it or be used by it. In the Galactic Civil War, the Empire has all of the advantages. More troops. More weapons. Better equipment. The Rebel Alliance has to rely on the resourcefulness of its troops and their ability to make do with what is at hand. Alliance General Airen Cracken, a decorated veteran of many battles, teaches Rebel soldiers how to survive in the field where the best weapon is one's wits. Cracken explains how to alter technology to the needs of the moment and increase the odds of survival despite cunning foes and hostile environments. The general provides complete information, much of it secret, concerning new weapons and tools for Rebel troops and their foes. * Numerous entries describing new equipment. * Tips and rules for jury rigging devices for improved performance. * Detailed technical illustrations that show Rebel troops how the devices work. * Cyborg technology, as well as detailed rules for its use in the Star Wars universe. * Computer data and artificial intelligence in the Star Wars universe. * Complete game statistics for new and familiar weapons, vehicles and devices." "The regional governors now have direct control over their territories. Fear will keep the local systems in line. Fear of this battle station. It is a period of galactic civil war. On one side, a ragtag collection of freedom fighters called the Rebel Alliance. On the other, the terrible might of the Empire, best symbolized by the technological terror known as the Death Star. An armored battle station the size of a small moon, the Death Star packed enough firepower to destroy planets. Alliance researchers have uncovered many of the secrets of the most devastating weapon in galactic history, and gathered the information together in this one volume. The Death Star has been destroyed but its legacy lives on. • Complete information on the station's crew, weaponry and combat forces. • Maps and diagrams of major areas aboard the Death Star, including hangar bays and the surface trenches. • Descriptions of the Death Star's daily operations, from command to maintenance. • Excerpts from Grand Moff Tarkin's original reports on construction and purpose. 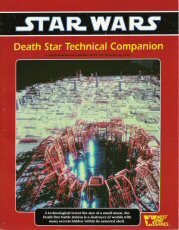 • Death Star layouts which can be used as models for other Imperial facilities in the roleplaying game." "Hurtling through the darkness of the void are the planets of the Star Wars galaxy. While the Galactic Civil War rages on, there are new worlds to explore, profits to be made, allies to be discovered, enemies to be avoided. The adventure awaits. 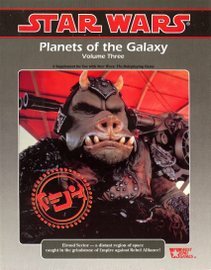 Planets of the Galaxy: Volume One introduces gammasters and players to some of the most exciting and unusual worlds of the Star Wars galaxy. Explore the space lanes, and battle the Void Demon pirate gang of Isen IV, or earn a living smuggling the amazing Garnib Crystals sculptued by the free-spirited Balinaka people. Carry the torch of freedom to Imperial worlds like Celanon, one of the greatest trade planets in tall the Empire. Match wits with the crafty and dangerous Sonori, who huddle in huge subterranean cities while their world is pelted by an endless stream of meteorites and asteroids. An entire galaxy of adventure awaits brave Rebels and shrewd free traders. * Ten new worlds, with complete information on native sentient species and their unusual cultures. * Adventure hooks and diagrams so gamemasters can use these planets immediately. 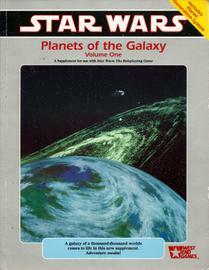 * A Planet Generation System, with information on creating exciting new worlds for the Star Wars galaxy. * New villains, equipment, vehicles and creatures suitable for use in any Star Wars adventure." 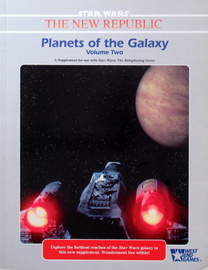 "Planets of the Galaxy: Volume Two brings to life eight new planets for gamemasters and players alike. Battle the Imperial resistance on Algara, or encounter the bizarre Ee on Atraken. Learn the secrets of Ergeshui's strange technology, or explore the gem mines of Gacerian and the dark streets of Korbin. From the flying Serpents of Fyodos to the dread mysteries of the Valley of Umbra, Planets of the Galaxy: Volume Two will take you where you've never been before. • Eight new worlds, including information on native cultures, creatures, and points of interest. • Diagrams and adventure hooks that allow gamemasters to plunge right into the excitement. • Imperial plots, hidden dangers, and new villains suitable for any Star Wars adventure. • New alien species suitable for use as gamemaster characters or player characters. • Player handouts so players can immediately get a feel for these planets." "Elrood Sector: a little-known backwater far from the raging battles of the Galactic Civil War, but still threatened by the merciless forces of the Empire. Planets of the Galaxy, Volume Three introduces a whole new sector of space. Cross the jungles of Kidron to the High City of Refuge, see the lush farmlands of In this region of strange planets and unusual aliens, intrigue and mysteries abound. Only the courageous or lucky survive: could that select group of hardy adventurers include you? • Six new worlds completely detailed with history, cultures, maps, and locations. • Complete overview of Elrood Sector. • Detailed biographies of important personalities. • Detailed information on running a campaign in Elrood Sector. as gamemaster or player characters." "Some of the most despicable criminals in the galaxy are on the loose, and it is up to the soldiers of the New Republic to bring them in and pick up the reward. Inside this book are Imperial military officers, bounty hunters, smugglers, assassins and many other criminals who represent a threat to the New Republic: over 50 individuals in all! Each entry includes game statistics, a personal history of the criminal, the amount of the reward offered by the New Republic and an illustration. 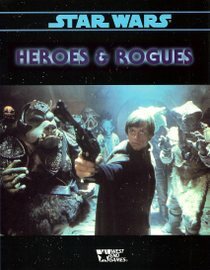 Many entries contain additional information on henchmen, specialized equipment and hidden bases, as well as adventure hooks and hints on using the criminal in your Star Wars adventures." Revised for 2nd edition, shares the same ISBN and product number as the 1st. "A terrible civil war burns throughout the galaxy. A rag-tag group of freedom fighters has risen from beneath the dark shadow of a tyrannical Empire: against all hope, they have dealt the oppressors a mighty blow. Throughout the vastness of space, heroic beings engage in a desperate struggle against the overwhelming might of the Empire. They are ill-equipped and pitifully few, but their courage and determination has fostered new hope for freedom in the galaxy. These are the men, women, and aliens of the Rebel Alliance." "The war against the Galactic Empire is more than a war of SpecForce troops against stormtroopers, of Corellian Corvettes against Imperial Star Destroyers. It is a war of individuals — spies, informants, smugglers — who all do their small part to undermine and hinder the Empire at every opportunity." How does the Alliance get its information? If Rebels are stranded in the field, where do they go for protection? Who works for the Alliance to help overthrow the Empire? 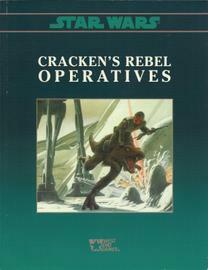 Cracken's Rebel Operatives is a collection of saboteurs, operatives, spies, contacts arid informants who work with or for the Rebel Alliance in its valiant struggle against the evil Galactic Empire. 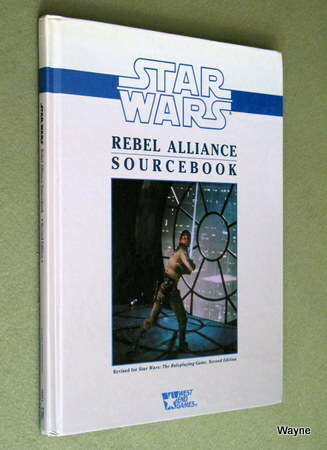 This supplement provides detailed information on some of the more famous and important individuals in the ranks of the Rebellion. These characters provide rich background and personalities and are suitable for inclusion in any Star Wars: The Roleplaying Game adventure! "Ever want to know how a lightsaber works, where the Twi'lek homeworld is, and how many TIE fighters are on a Star Destroyer? 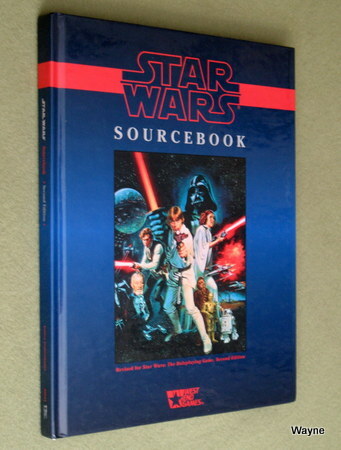 The Star Wars Sourcebook can help you discover all the technical and natural wonders of the fantastic Star Wars saga. The Star Wars universe is filled with sleek starfighters that clash with kilometer-long Imperial Star Destroyers, armor-clad stormtroopers battling desperate Rebels, bizarre aliens, devastating weapons, amazing droids, courageous heroes and cunning villains. Stories, maps, charts and illustrations help explain how the Star Wars galaxy works: from lightsabers, the elegant Jedi weapon, to repulsorlifts. You'll also find plans for an X-Wing fighter, a Rebel base, a Imperial garrison, and the blueprints of the Millenium Falcon! All game statistics have been updated to Star Wars: The Roleplaying Game, Second Edition"
"Includes all the game statistics needed to use the might of the Empire in the roleplaying game. 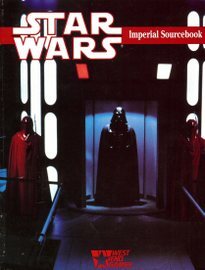 144 Page book features: A look at the Imperial power structure since the Battle of Yavin, concentrating on the time period between Star Wars and The Empire Strikes Back. Details on COMPNOR and Imperial Intelligence- the organizations that keep the war machine moving.Descriptions, illustrations and statistics for new capital ships, custom ordnance, and land vehicles. Data on support weapons, special Imperial Units and training techniques." "Hurtling through the darkness of the void are the planets of the Star Wars galaxy. While the Galactic Civil War rages on, there are new worlds to explore, profits to be made, allies to be discovered and enemies to be defeated.Within this book are two dozen worlds waiting to be incorporated into Star Wars adventures. 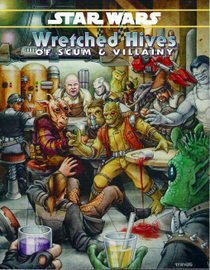 From the dangerous trader port of Celanon, to the mining centers on Gacerian and the criminal haven of Korbin, this supplement has something to offer every Star Wars campaign." "A supplement for use with "Star Wars: The Roleplaying Game". In all, over 60 new creatures are presented! Each entry features a detailed illustration, as well as complete information on the animal's habitat, behavior, and special abilities." "Want to see the galaxy? Don't join the Imperial Navy! Just follow smuggler extraordinaire Platt Okeefe as she takes you on a vagabond's tour of seven starports: * Gelgelar Free Port, a backwater haven * Byblos, a world dominated by incredible city towers * Omze's Incredible Traveling Starport, a wandering trading ship * Darknon Station, an ancient deep-space station by the Itani Nebula * Kala'uun, a city on Ryloth, the Twi'lek homeworld * Kuat, home of the famous Kuat Drive Yards stardocks * Port Haven, a secret smugglers' outpost. 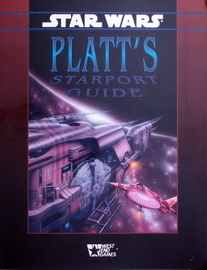 ~~ Platt's Starport Guide is for use with Star Wars: The Roleplaying Game. Each starport contains maps and diagrams, detailed port information and is filled with character profiles and adventure ideas. 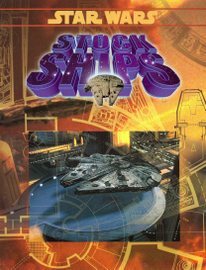 Includes a summary of Imperial spacefaring regulationsPlatt's Starport Guide is your ticket to the wonders of the galaxy!" From an Abyssin grafting patch to the Verpine shatter gun, this catalog contains essential adventuring gear for rough-and-tumble enconunters. 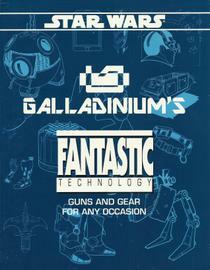 With sections detailing weapons, micro-electronics, survival gear, droids and medial supplies, Galladinium's catalog of wares will prove to be indispensable to any group of characters!" "Flashpoint: Any situation or area with a potential for a sudden outbreak of conflict. 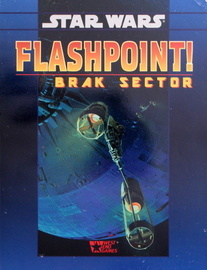 Brak Sector: A sector of space that serves as a staging area for Imperial Navy missions into the Outer Rim Territories. Rebel forces have made substantial gains in this former mining sector. Imperial Objective: Eliminate Rebel forces by any means necessary." "Heroes are only as good as the villains they fight. This collection of villains details some of the Alliance's most dangerous foes, providing a perfect selection of enemies for any Rebel team. 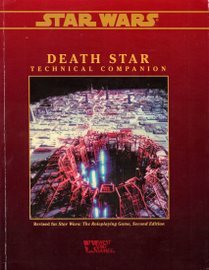 Each entry has background information and game statistics, including numerous new droids, vehicles and aliens for use in any Star Wars roleplaying adventure." "The essential supplement for players and gamemasters looking to expand the horizons of detail and excitement in their Star Wars campaign! Develop your character's past... education, homeworld, family, past loves, past occupations are all at your fingertips! Was your character an honor student at the Academy, or a street tough fighting to survive on the mean streets of Nar Shaddaa? Are there people your character knew as a youth that can assist you now? Or are they rivals moving to thwart you at every turn? This supplement features over 60 character templates, 43 gamemaster characters, a "free-form" method of generating interesting and exciting backgrounds, for characters, a guide to prominent home worlds of the galaxy and - for the first time - guidelines for playing Imperials!" "Attention, Imperial freighter! This is the Independent vessel, Free Lance. Power down your engines and weapons or be destroyed. This is your final warning." "All hands, prepare to repel boarders..."
Command a ragged band of pirates, lead a daring and disciplined crew of commerce Haiders against the forces of the Empire, or launch devastating attacks against New Republic shipping as an Imperial privateer. 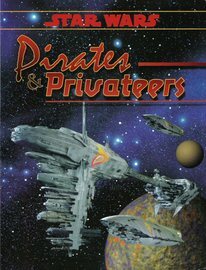 Pirates & Privateers gives players and gamemasters all the information needed to run a privateer campaign, featuring scores of new character templates, equipment, ship modification guideline, gamemaster characters, and a detailed index to pirate organizations, ships, and shadowports. Explore the lawless fringe of the Star Wars universe where only the bold survive!" 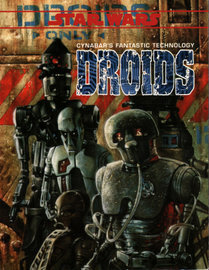 "This 96-page roleplaying supplement features: * A complete droid construction system that allows player characters to build a droid from scratch. * A player's guide to droids, with tips on how to make these mechanical constructs more than the sum of their metal parts. 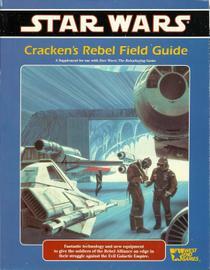 * Several scenario hooks geared to droid player characters. * The DataLog - downloaded from Cynabar's illegal infonet-which contains game stats, descriptions and illustrations of dozens of the most intriguing and useful droid designs in the galaxy! From the glossy showroom models to the rusted, twisted hulks on the Black Market, Fantastic Technology: Droids gives you all the information you will ever need to integrate these sophisticated devices into your Star Wars roleplaying campaign!" You might think that when you walk inside, but five minutes later, when you're hiding in a corner and some big alien thug is about to pound the stuffing out of you, you might be beginning to wonder if it was such a good idea to come here. So, how do you find a pilot when you're on a strange planet, with stormtroopers hot on your trail? * The Ace of Sabres. A luxurious vacation resort with a dozen of the galaxy's finest casinos...and enough seedy dealings to make Jabba the Hutt proud! * Exovar's Emporium. It's neutral ground for smugglers, scouts, bounty hunters — and a long way from the prying eyes of the Empire. * The Broken Tusk. With a horrific dueling arena as its centerpiece, the Tusk isn't a place for the kiddies. * The Pits. It's paradise for swoop riders and only the best riders need apply. * Falling Star Saloon. Located on the remote Starlyte Station, the Falling Star is the kind of place where you can disappear for a while. It's getting out alive that's the hard part." 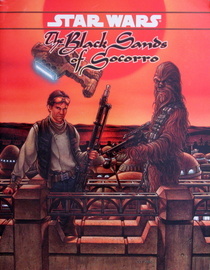 "A frontier world far from the tyranny of the Empire, Socorro offers opportunity, wealth —and danger! Travel the Doaba Badlands, learn the secrets of the infamous Black Bha'lir smuggling coalition... explore a world as distinctive as its unforgettable ebony surface." "Tired of mucking around on wet jungle planets? Sick of roasting on isolated desert worlds? Want a taste of the good life? Come to Tapani Sector and mix it up with the lords and ladies of the noble class. Forget dusty cantinas — yacht races, grand balls, and exclusive luxury resorts are your venue now. As a knight or baron, immerse yourself in the mighty feuds of noble houses — and uncover their secrets. Cross lightfoils with the saber rakes, tangle with a shadowy assassin cult, or join a secret society. Foil Imperial plots to undermine the sector, or help them along and reap the rewards loyalty to the Emperor brings. Or, if sitting in the lap of luxury isn't your thing, sniff out the hidden fringe ports and cut yourself a piece of the action. Take on the powerful Mining Guild. Smuggle bootleg bacta down the Shapani Bypass or steal data from the ivory halls of Mrlsst. If you get bored, establish your own Rebel cell and rock the sector. * Sector Guide: A player's guide to the sector, a gazetteer detailing 14 planets, plus new spaceships, droids, and equipment. 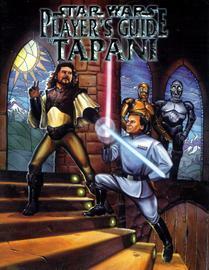 * Gamemaster Guide: Details on the houses of Tapani sector, the Freeworlds Region, and dozens of other organizations ranging from secret societies and mining companies to Rebel cells and bacta pirates. * Campaign Guide: Advice and essays on running Expanse campaigns, and plenty of support material and adventure sites. 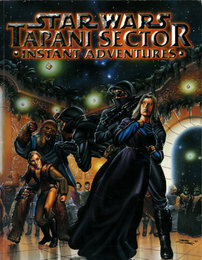 Includes a full-length introductory adventure you can expand into a complete mini-campaign using the provided outlines. * Character template booklet: Tapani knights, house troubleshooters, dueling hotspurs, and more. Eight new templates in all. * Sector poster map: A full-color map of the sector, with a large-scale map of Tapani's capital city on the reverse side. * 12 [16! -Wayne] full-color character cards: Features short stats and a portrait illustration of key characters and ships of the sector." "Tapani sector is the home of the rich and dangerous — of mighty lords, Imperial diplomats, and powerful Mining Guild officials. The big boys don't play nice, and what you don't know can hurt you. If you're going to be spending time in Tapani sector, you need to know the ins and outs of dealing with the Tapani nobility, and where to be seen when capital season rolls around. Learn when a Herglic merchant is insulting you, and where the best music festivals in the Freeworlds can be found. Most importantly, know which noble houses you can work with, and which ones are most likely to stab you in the back. The Player's Guide to Tapani gives you this sort of information. 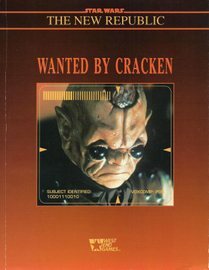 It also provides everything you need to create characters thoroughly grounded in the sector: a gazetteer of major homeworlds, essays on the aliens common to the sector (and how they're treated by the humans), and a Heroes and Rogues-style character generation system which gives your character a history and background. Still want more? How about over 30 all-new character templates tailored for play in Tapani sector?" "Gundark" is one of the most notorious illegal arms dealers in the galaxy, wanted by virtually every law-enforcement agency in known space... and now, for the first time, his catalog of illicit wares is available to you. 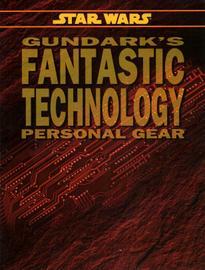 From the ABC anti-personnel canister to the Z2 stun baton, Fantastic Technology: Personal Gear contains detailed game statistics and information on scores of items: weapons, armor, security mechanisms, computers, explosives, communications equipment, and other "speciality devices". Take a tour to the black market, where anything can be acquired... for the right price. "Infiltrate a secret Imperial installation to rescue captured Rebel spies, Steal prototype weapons from the heart of the Empire. 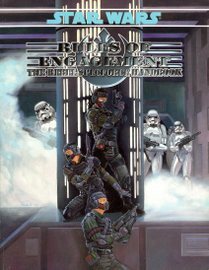 Gives you all the information needed to run a SpecForce campaign featuring: Detailed descriptions of the elite forces of the Empire. New weapons,equipment and vehicles. New character templates. Dozens of optional rules that reflect the dangerous nature of hit-and-fade combat." • Who Do You Work For? Take a look at the legitimate and criminal elements who pay smugglers to haul cargo from the Core Worlds to the Outer Rim. How did get the job... and what incriminating evidence does your employer have against you? • How Did You Get Your Ship? Smugglers acquire their starships in a variety of ways — most burdening them with debt for the rest of their lives. Check out two of the most popular light freighters — the Corellian YT-1300 and Ghtroc 720 — complete with deck plans. • Tools of the Trade. Shop for supplies in this stockpile of gear especially useful for smugglers. You'll find everything from tools and droids to emergency equipment and cargo accessories. • Who Do You Know? Making connections and contact networks is often the key to good business. Choose from a wide variety of entrepreneurs whose success comes in part from helping you out. • Who's After You? Smuggling is no easy life, and — as paranoid as it sounds — people are really out to get you. You'll find a few more here, just to make your smuggling runs a little more challenging. • Smuggler Character Templates. Tired of playing the 'Smuggler' and 'Wookiee First Mate' character templates? Choose from 18 new templates representing smuggler characters and crew: Wroonian Captain, Klatooinan Roustabout, Rodian Gunner, Mon Calamari Spacer, Twi'lek Co-Pilot, Mercenary Trader, Sullustan Engineer, and others! 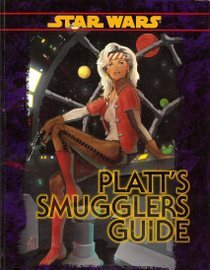 A perfect companion to Galaxy Guide 6: Tramp Freighters!" "On the surface, Tapani sector is a glittering jewel in the Emperor's crown. The region's noble Houses have sworn undying allegiance to Palpatine and his New Order, and enforce his edicts without question. But behind the pomp and circumstance of the sector's nobility, intrigue, treachery and deceit abound. The nobles, constantly plot the downfall of rival Houses, and. some, secretly, support the Rebel Alliance in defiance of Imperial tyranny. Tapani Sector Instant Adventures features five scenarios for use in a Lords of the Expanse Campaign. In addition, this volume contains color recognition cards depicting characters, aliens, ships and equipment that appear in these exciting adventures! • Race to recover the explosive secrets contained in "The Mecetti File." • Plot a daring hijacking scheme in "The Bacta-Heist." • Scout the uncharted reaches of the Tapani Expanse and recover a long-forgotten treasure in "Lost Destiny." • Plunge into the intrigues of a noble House in "Blood Inheritance." • Crash the most prestigious celebration in the sector and help an Imperial advisor defect in "Event of the Season." 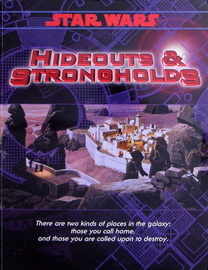 "From mercenary encampments to pirate fortresses, Hideouts & Strongholds is an indispensible Star Wars campaign aid. More than twenty bases are presented in this volume: primitive jungle hideouts, hidden asteroid bases, massive orbital battlestations, and much more. Also included are detailed rules that allow characters to modify the sites contained in Hideouts & Strongholds... or even build their own! Each entry includes: * Detailed maps and floor plans of each site. * Complete descriptions of each location, including the base's history, weapons, traps, and "hidden surprises." * Notes on the surrounding terrain and unusual environmental conditions. * Prominent individuals - friends and foes - that may be encountered at each site. * Suggestions on integrating these strongholds into a Star Wars campaign"
"A staggering variety of species populate the smoky cantinas, dingy spaceports and glittering cities of the Star Wars universe. Now, the secrets of these aliens are at your fingertips! 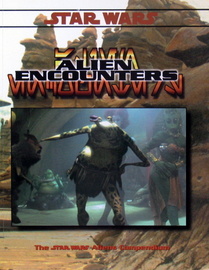 Alien Encounters features some of the most exotic, interesting and unusual aliens, culled from dozens of Star Wars novels, comic books, roleplaying adventures, sourcebooks, and the Official Star Wars Adventure Journal. 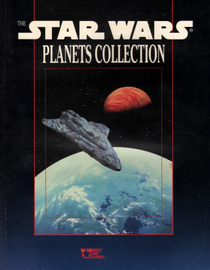 Each alien entry features a concise and descriptive background on a species, as well as game stats for use with the Star Wars Roleplaying Game. With over 100 aliens between these pages, you can find the answers to questions like: * What species has two mouths and can speak from both of them at the same time? (page 72) * What alien does not breathe, instead obtaining all its gases and nutrients through ingestion? (page 56) * What cloud-like alien can dodge blaster fire and melee weapons simply by changing shape? (page 49) Also included in this volume is an alien-generation system, allowing you to create your own bizarre denizens of the Star Wars universe. In addition, Alien Encounters contains several indices, cataloguing aliens from this book, Galaxy Guide 4: Alien Races and Galaxy Guide 12: Aliens - Enemies and Allies." "Join the fearless crew of the Far Orbit, the first Rebel privateer ship. 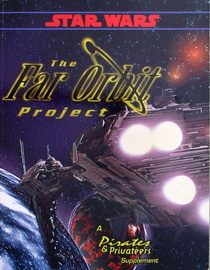 The Far Orbit's mission is simple: stage a daring series of strikes on the Core Worlds and wreak havoc on the forces of the Empire. * Detailed deck plans for a Nebulon-B warship. * Source material on the Ringali Shell: planets, locations, law-enforcement agencies, black market and criminal organizations, infochants, and much more. * Dozens of player handouts designed to enhancethe Far Orbit Campaign. * A complete campaign outline that allows game masters to run fluid, fast-moving privateer campaigns. * Several scenario hooks and staging tips that bring the dangerous world of the Rebel privateer to life. * New optional rules for space combat. * Eight Instant Adventures-style scenarios that can be finked into a complete, stand-alone campaign."